Poor Knights of Windsor is a dish for what in America is known as French Toast. It was named for an order of knights established by Edward III for knights who had fallen on hard times after the 1346 Battle of Crecy in northern France. The reason the knights from this battle were poor after it was over was because they had to sell their estates to ransom themselves out of capture. The knights were given residence in Windsor Castle, and they worked for their housing by performing duties around the castle. While they may have been poor and could only afford to eat fried bread, they certainly would have been happy if they had eaten this 1755 Scottish version of the dish because it is full of wine! 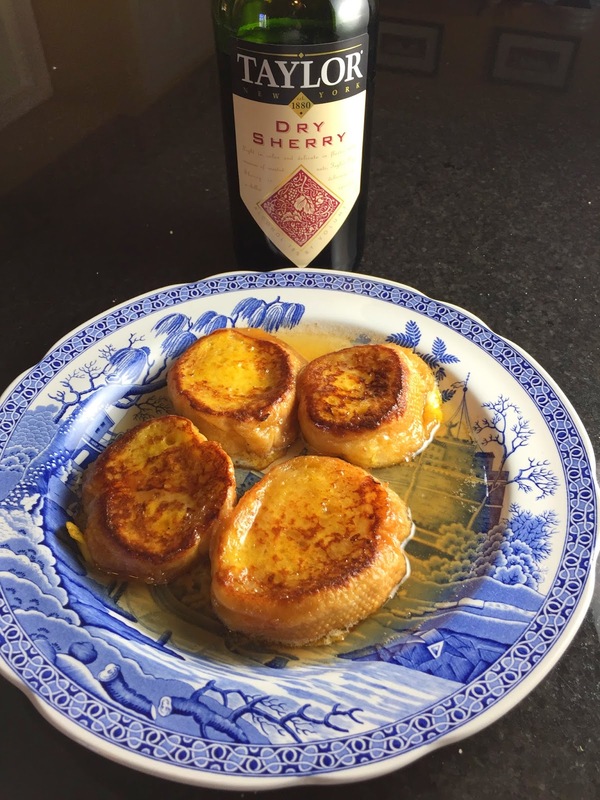 A more descriptive name for this recipe would be Drunken French Toast! Source: A New and Easy Method of Cookery by Elizabeth Clelland, Edinburgh, 1755. Mix together the sherry and the milk. In a shallow bowl or dish, soak the bread in the sherry/milk mixture for 5 minutes. You can use straight sherry if you dare! Prepare a frying pan by melting the butter in it over medium high heat. Remove from heat until ready to use. In a separate shallow pan, mix together the egg and egg yolk. Once the bread plumps up with the sherry, dip each piece in the egg and transfer to the frying pan immediately. 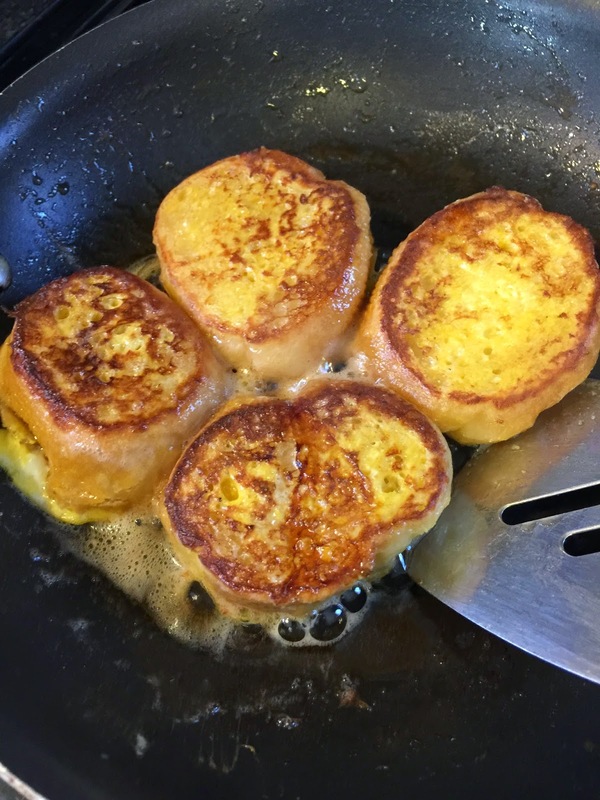 Fry each piece of bread until golden brown, about 3-4 minutes per side. Prepare the sauce while the bread is browning. Remove the golden browned bread from the pan and cover with the sauce (recipe below). In a small saucepan, mix together the sherry, sugar, and butter. Boil over high heat, uncovered, until the mixture is reduced to a syrup, about 5 minutes. Pour over the golden browned bread. a good Friday or Saturday night supper alternative! yum!